BGSU Library staff member Anne Lake shares this review of one of our CSCL books available in the hall bookshelves. Check availability here: JUV C1825da. When Katharine Tulman’s inheritance is called into question by the rumor that her eccentric uncle is squandering away the family fortune, she is sent to his remote English estate to have him committed to an asylum. But instead of a lunatic, Katharine discovers a genius inventor with his own set of childlike rules, who employs a village of nine hundred people rescued from the workhouses of London. Katharine is now torn between protecting her own inheritance and preserving the peculiar community she has grown to care for—a conflict made even more complicated by a handsome apprentice, a mysterious student, and fears for her own sanity. As the mysteries of the estate begin to unravel, it is clear that not only is her uncle’s world at stake, but also the state of England as they know it. With twists and turns and breathtaking romance at every corner, this thrilling adventure will captivate readers. Why is it some of the best books always seem to get pushed to the bottom of the TBR pile? This one has been on my list for ages and it turned out to be one of my favorites so far this year! It was beautifully written, well thought out, and just all around a great book! I will say, it’s definitely not what I was expecting. 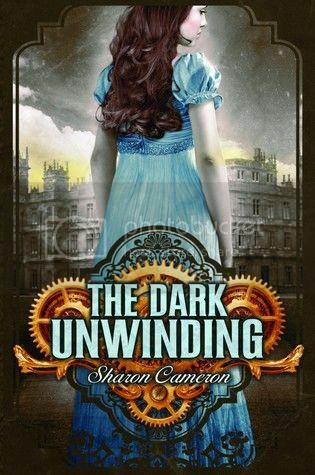 From the title, the cover, and even the blurb I sort of assumed it would be a steampunk, and since I love steampunk, I would love this one. But aside from a few scary, almost gothic, scenes the story isn’t very steampunk at all – there’s no mention of magic or paranormal aspects, and the technology is believable for the time period during which it is set. I could have been very disappointed in the differences from what I expected, but instead I found such an engaging story that I didn’t even have time to complain. The big thing that appealed to me was Katherine’s relationship to her uncle. Though they wouldn’t have known how to diagnose it at the time it’s pretty clear that Mr. Tulman is Autistic. Katherine is supposed to send him to the insane asylum, a terrible fate during that era, and yet, she can’t bring herself to do it. Having babysat for two autistic boys quite a bit, I can say that the representation is fairly accurate from what I’ve seen, and it is a great source of tension for the majority of the novel. I especially loved how well he and Katherine got along – she somehow knows exactly what to do and say, and every time they had a scene together I had a huge grin on my face! In short, I absolutely adored this book, and I cannot wait to read the next in the series!